A faraway cluster of stars known the Coma star cluster requires a dark sky to be seen. It is in the constellation Coma Berenices – also known as Berenice’s Hair – and it’s an open star cluster, a loose collection of stars held together by gravity. If you can’t spot this wispy and gossamery group of stars with the unaided eye, try binoculars. How can you find it? 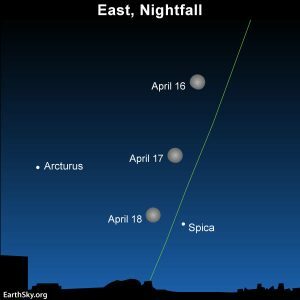 One way is to use the famous constellation Leo the Lion, shown on our chart at the top of this post, now in the east each evening. Leo is relatively easy to see. The front part of the Lion looks like a backwards question mark, and the back part is a little triangle, which includes the star Denebola, marked on the chart at top. The word Deneb in a star name always means tail, and this star marks the tail of Leo. 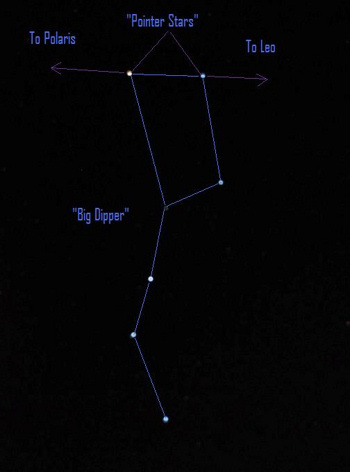 Do you know how to use the pointer stars in the Big Dipper to locate Polaris, the North Star? Instead of going northward from the pointer stars to Polaris, the North Star, go southward instead to find the constellation Leo. Imagine that Leo is holding his tail out. In the place where you might see a “puff” at the end of the Lion’s tail, you’ll notice a fuzzy patch not too far away from Denebola. This is the constellation Coma Berenices, or Berenice’s Hair. 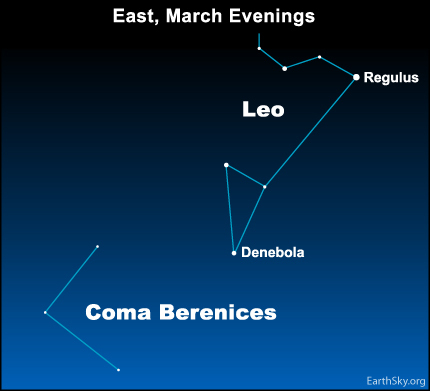 The constellation Coma Berenices once was considered part of the constellation Leo. The Coma star cluster as captured on March 25, 2014, by Scott MacNeill of the Frosty Drew Observatory and Sky Theatre. The Coma star cluster is estimated to be about 288 light-years away and has at least 37 known stars that are 400 million years old. It is the third-closest open cluster to our Earth and sun. Only the Ursa Major cluster (the bowl stars of the Big Dipper) and the Hyades cluster (the head of Taurus) are closer. This cluster of stars – seen by the early stargazers as Queen Berenice’s Hair – is named for Queen Berenice II of Egypt, wife of Ptolemy III. 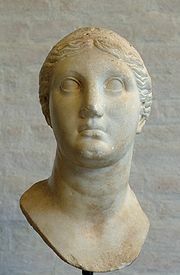 In 243 B.C., Ptolemy went to war. His newlywed bride, Berenice, swore to the goddess Aphrodite to sacrifice her long, blonde hair, of which she was extremely proud, if her husband returned safely. He did, and she had her hair cut and placed it in the goddess’ temple. The next morning, the hair had disappeared. 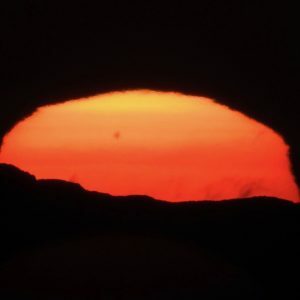 To appease the furious king and queen, and save the temple priests, the court astronomer is said to have indicated a fuzzy patch of stars in the heavens – and said that the gods were so pleased with Berenice’s offering that they had placed her hair in the heavens, for all to see. Queen Berenice II of Egypt via Wikimedia Commons. Beyond the visible stars in the Coma cluster is something else: a vast region of galaxies. View larger. 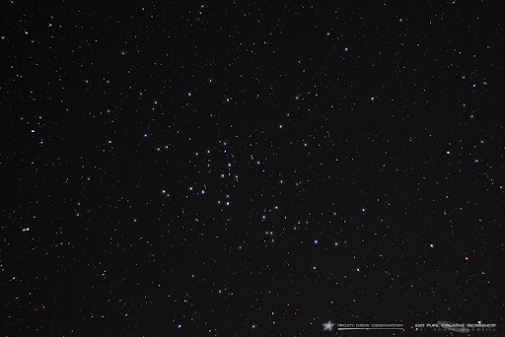 | Coma Berenices appears to the eye as a cluster of stars. But a telescope reveals a vast region of distant galaxies, which can be seen on this chart of the Coma Berenices region via SEDS. Bottom line: How to find the open star cluster in the constellation Coma Berenices, or Berenice’s Hair. Today, as in ancient times, the cluster is one of the most beautiful sights in the heavens.